Cannabis gifts for the local connoisseur. 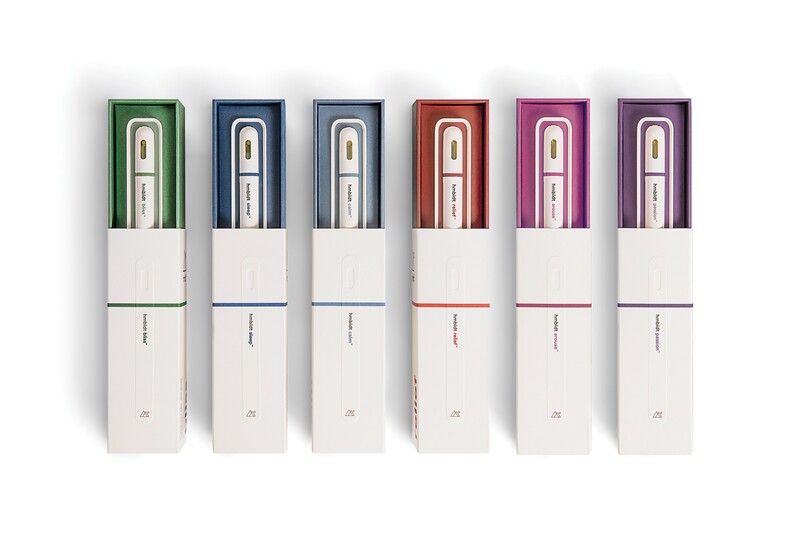 The hmbldt vape pen 200 would be a great stocking stuffer. When it comes to gifting weed, the options can be overwhelming. In recent years there's been an explosion of cannabis-related products, from topicals to sublinguals, edibles, and accessories for smoking, vaping, and dabbing. And with recreational sales just a month away, the options are likely to increase. Below is a curated list of some of our favorite products that are sure to please newbies and seasoned experts. With cannabis strains being significantly more potent than ever before, many consumers long for a chill buzz that won't leave them anxious or paranoid. That's where Los Angeles-based vape pen company hmbldt comes in. Launched in 2017, hmbldt carries dose pens in six different THC-to-CBD ratios, formulated to address specific concerns such as anxiety, tension, insomnia, and pain. The selling point is that these sleek devices vibrate when the user inhales for three seconds, or the equivalent of one 2.25 milligram dose, so there's less of a chance of overindulging. A few months ago, the company — which sources all of its organically grown products in Humboldt County, hence the name — released a smaller pen with 50 doses. (The original pen contains 200 doses and retails for $100, which can be a bit of a commitment.) These micro-dosing pens are great for targeted care or a subtle high. When it comes to carrying flowers, discretion can be difficult. But the AnnaBís collection of handbags and accessories alleviates smokers of that pungent skunky smell. Layers of resin film inside the lining of each purse or clutch prevent unwanted odors from spreading and look way cuter than wrapping a pipe in Ziploc bags. The Chelsea, which is a chic, mini bucket bag, houses your stash, grinder, and anything else you might need in a hidden bottom compartment without being bulky or obvious. It's a great gift for those who want a stylish way to carry their Girl Scout Cookies. Oakland-based collective Golden Goddess Botanicals specializes in edibles, topicals, and tinctures that are beautifully packaged and thoughtfully produced, using only organic, full-spectrum, single-strain cannabis. Of their topicals, the Ritual Face Serum is the most luxurious, chock-full of oils such as cured sesame, argan, rosehip, borage, sea buckthorn, and hemp, which are thought to have anti-inflammatory and antibacterial properties. Available in CBD and THC/CBD options, the serum absorbs easily into the skin, never leaving an oily residue, and imparts a rejuvenating glow. Give a shatter lover the gift of dabs with the Puffco Pro 2. Like its "big brother," the Puffco Plus, which was named the number-one vape pen by High Times, the Pro 2 features the same all-ceramic chamber for optimal-flavored hash rips without the torch-and-nail hassle. Dabbing doesn't get any easier than five clicks to self-medicate and two more for a 12-second "sesh mode" with the cousins you haven't seen in years. The Pro 2 is relatively smaller than its predecessor, but with its improved battery life, it does the job longer — guaranteed to last all night. Skip the holiday bouquet of Edible Arrangements and get your special someone a box of Kamala Cake Bites to get them nice and stoned. Founded in Los Angeles in 2010 as Buddha Bakes Catering, the company relocated to the East Bay and rebranded itself as Kamala Cannabis Edibles in 2016. Far from your average weed-buttered rice crispy, Kamala's line of gourmet medicated edibles includes peanut butter pretzels, jalapeño curls, cranberry oatmeal cookies, and more — tasty refined treats for those late-night munchies. Fan favorite Cake Bites includes an assortment of five morsels of decadent cake that look good enough to Instagram — if you can avoid eating them for that long. It's full of vibrant sculptures and empathy. The breakout emcee shows a softer side on his latest record.